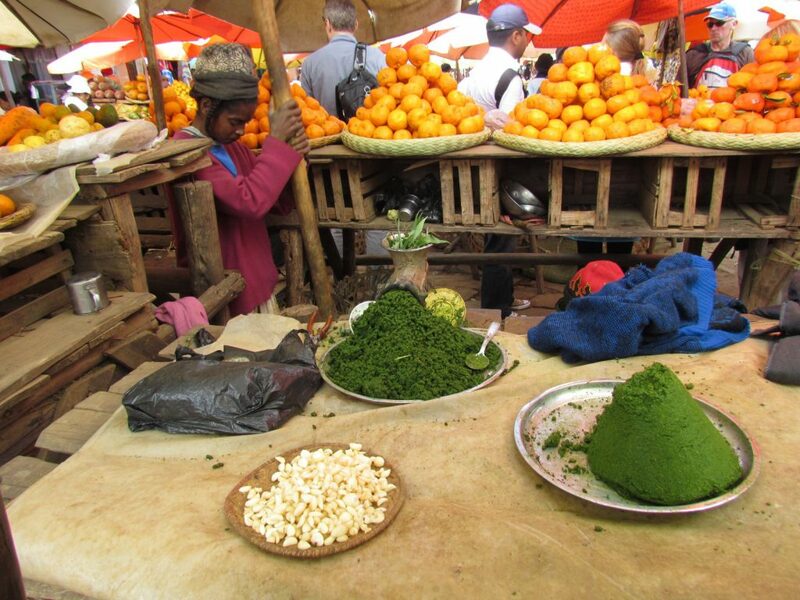 The cuisine of Madagascar has many influences, including Asian, African, Indian and European. As it would have been on the island of Borneo, from where the first settlers came, the Malagasy diet is based around rice. Rice is grown on terraced paddys in the central highlands of the island and is served at most every meal. Additionally, it is eaten at breakfast in porridge form, and consumed as a beverage by boiling water with toasted rice. The rice is, of course, served with an accompaniment, which typically could be made of zebu, the humped cattle which originated in India. Zebu is somewhat tougher than other beef and therefore tends to be stewed with spices, including ginger, curry, salt, onions, garlic and tomato. 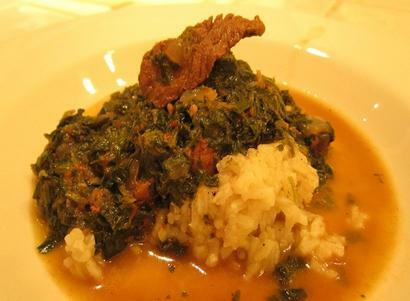 Chicken, seafood and vegetable dishes, often made with greens, peanuts and/or potatoes, are also common laoka, or accompaniments for rice. One of the most delicious accompaniments to a good steak is Madagascar green peppercorn sauce. Made with green peppercorns in brine (typically imported from Madagascar and commonly used in French cuisine), cream and brandy, I highly recommend it although I don’t see evidence that it is at all a common dish in Madagascar. Which brings us to Madagascar vanilla. 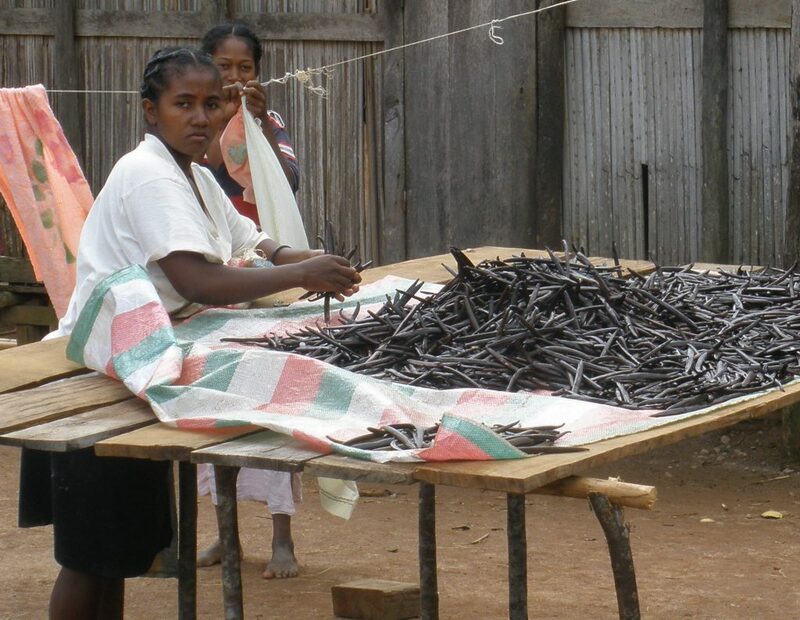 Madagascar vanilla is also not originally from the island. Vanilla comes from a specific type of orchid which is native to Mexico. Attempts to grow it successfully elsewhere failed, due to it’s dependence on a certain species of bee for pollination. In 1841, Edmond Albius, a slave on the French island of Réunion, which lies not too far from Madagascar in the Indian Ocean and was previously known by it’s French name, Île Bourbon– therefore ‘Bourbon Vanilla’, discovered a method of hand-pollination. He was twelve years old at the time, by the way. 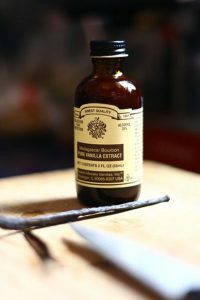 This allowed the vanilla been to be cultivated in other parts of the globe, although it is a complex and arduous process and is therefore the world’s second most expensive spice after saffron. Madagascar is now the top producer of vanilla and Madagascar, or Bourbon Vanilla has become highly valued and is the most sought after type of vanilla today. 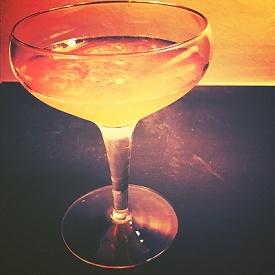 This month’s cocktail is inspired by vanilla and is called the Madagasidecar, a play on the sidecar. Shake all ingredients together with ice and strain into a coupe glass.